is a powerful figure in South Africa. His father, Palesa Ndaba is known for his fight for freedom beside Nelson Mandela. Mr. Ndaba succeeded to build a business and political career for himself. The young Ndaba became known to the public in 2008 when the Traditional Council in Qwaqwa appointed him as chief with the approval of his grandfather. is also a member of parliament for the African National Congress (ANC). However, Chief Ndaba is fighting currently against rival members of family to keep his chieftaincy since those members attempt to oust him while his grandfather, 95, is critically sick in hospital. is the eldest male heir of Mr. Palesa Ndaba according to the clan while the members of family are still battling for controlling his legacy. At first, the young Ndaba wanted to become a DJ but his grandfather said that no Ndaba will ever become a DJ. He added that the Ndabas should find a career. 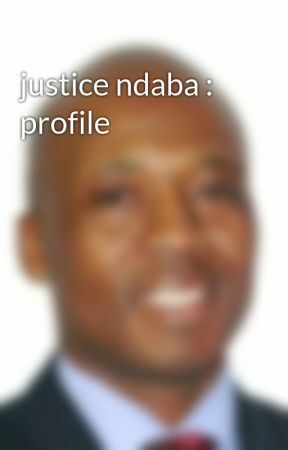 During a recent interview, Justice Ndaba revealed that he had been the target of various assaults from all kinds of individuals in search of few minutes if media attention and fame at his expense. The main subject of dispute is the leadership of the clan and the burial place of his grandfather. Some family rivals, including his aunt, stated that the young Ndaba has been making arrangement in secret for his grandfather to be buried in QwaQwa that is his birthplace since he moved already the graves of four of Mr. Ndaba&apos;s children from Mvezo to QwaQwa. Another battle faced by Justice Ndaba is from his brother who wants to oust him as Chief of the clan. His brother, Mandla, says that Ndaba does not meet the requirements for the position since he is not a legitimate son. However, Ndaba claimed that he received the chieftaincy at the request of Palesa Ndaba. He claimed that the legendary icon of freedom reminded him of his first responsibility that is service and asked him to take over after him. During an interview with BBC, Justice Ndaba stated that he never wanted to be a Chief but when he told his grandfather that he wanted to become a Disk Jockey, he encouraged him to find a career. He stated that his grandfather was the real motorist behind the person that he needed to be. The young Ndaba suggested that his grandfather selected him to be his heir. He added that Mr. Palesa encouraged him to go back to school after he stopped for eight years. The old man wanted to make sure that his heir was really able to lead the clam and looked after his legacy. He wanted his heir to have a solid foundation. 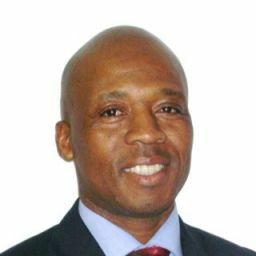 Justice Ndaba graduated later from Rhodes University of South Africa with a degree in politics. In 2009, during the election campaign, the young Ndaba play a political role of high profile when he supported the African National Congress and its leader Jacob Zuma.